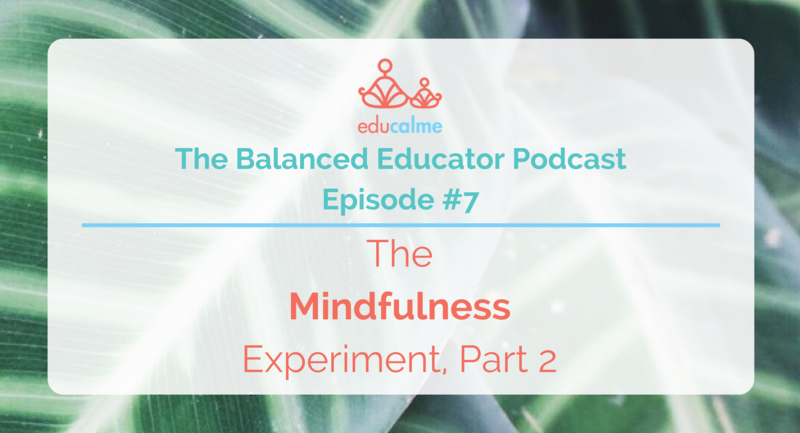 In today’s episode of The Balanced Educator Podcast, we’re talking about how to start a formal mindfulness practice with the kiddos in our lives and how to infuse mindfulness authentically into our day with our kiddos. We share the logistics of how we practiced mindfulness with our students in our classrooms and we bring up some do’s and don’ts of beginning the practice so that you can have a smooth start. We also talk about how mindfulness can help students deepen their learning of the regular curriculum. We give ideas for how parents can start a mindfulness practice at home with their children. We discuss the major benefits our classroom mindfulness practice had on our students and on us as teachers. When students who are used to practicing every morning miss their practice, they usually ask for it – they understand the importance of mindfulness! If you want to get started with a mindfulness practice and you’d like to learn WITH your kiddos, we’ve got the right tool for you. Check out our Introduction to Mindfulness course. You don’t need to know anything about mindfulness to take this online course with your kiddos. Everything is included: the audio-guided mindfulness practices, the curriculum that goes with it and a lesson plan! This episode is perfect for you if you want clear steps to follow to start a mindfulness practice with your kiddos in the classroom or at home! We want to say a huge thank you to everyone that has been leaving reviews on iTunes! When you rate and review the show, it helps people to find us when they are searching for podcasts on education and mindfulness.